Sticky notes, multiple Excel spreadsheets, and broken, ‘duct-tape’ systems are the norm for many SMBs when it comes to managing their customers. Does this sound familiar? If your business is plagued by missed follow-ups, de-centralized customer information and general chaos, a CRM (Customer Relationship Management) solution might be exactly what you need. 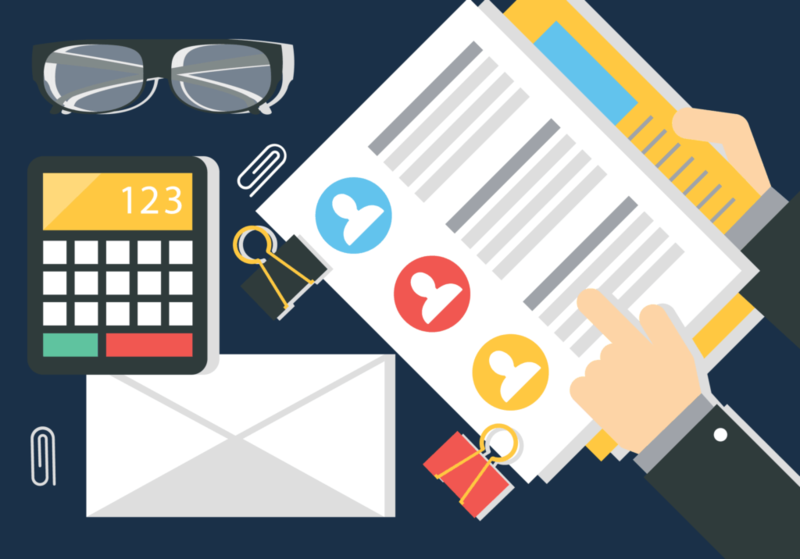 Accounting software is often the main hub of many SMBs, but there are some serious gaps left when it comes to keeping track of customer information outside of invoices and receipts. CRM software aims to bridge these gaps and provide a solution for tracking all that ‘extra’ stuff accounting solutions tend to leave out or ignore. This article is for anyone who is unsure about whether a CRM solution is right for their business (Spoiler Alert: you probably need one), and what considerations to make when adding this important tool to your arsenal. We all know business can get messy. Day-to-day operations often include many phone calls, various documents, follow-ups, and a multitude of other separate but interconnected processes that need to work well together. When things fall through the cracks, emails are left un-replied, or chances for sales are missed, your business suffers. Engaging customers and giving them a seamless, cohesive experience, along with making life easier for your team, can create happy customers and drive repeat business. Seems like a no-brainer, right? If you aren’t managing your customer relationships, chances are you’re missing out and leaving something on the table. So now that you know you need a CRM solution, what exactly can it do? There is a plethora of options in the CRM space these days, each with their own flavor and toolbox of capabilities. While not all CRMs are created equal, there is certain core functionality that most have. It is best to shop around and do your research to find exactly which solution is a right fit for your business. In general, CRM solutions will give you a centralized container for all of the customer information that is not in your accounting software. Here are some of the areas where you can get help. Having all your customer data in one place, at a glance, just makes sense. Instead of keeping track across an array of different methods (spreadsheets, notepads, etc. ), you can centralize everything for easy access and have the ability to overview everything at once. Depending on your business, communicating with customers is vital to building relationships and enticing further business. Keeping track of emails, notes on phone calls, and other interactions is critical to ensuring a good experience for your customers. Knowing how your customers have interacted with you in the past can give powerful insight into how you can engage them in the future. Finding out their favorite purchases, current inventory, or complementary products is useful and having customer history at your fingertips is invaluable. We live in the information age and that amount of data we can access is staggering. Collecting and understanding various data points regarding your customers can help inform both business and sales decisions. Keeping on top of customer interactions is essential to the experience of your business. Nobody likes not getting called back or having their requests or something promised to them slip through the cracks. These things happen, but with CRM it is so much easier to track everything from upcoming tasks to events to follow-ups. When one hand doesn’t know what the other is doing, problems inevitably arise. More importantly, sharing information among team members in an efficient way can streamline your sales process and give your team the ammunition it needs for success. Everyone having access to everything makes for smooth sailing. As you can see these are some critical areas of your relationship with customers that can be tracked and organized with a software solution. Like I’ve said before, do your research and try to figure out what CRM solution is right for your needs. 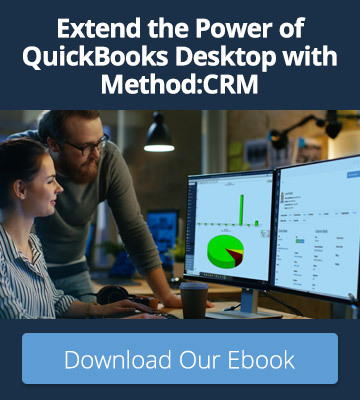 If you use QuickBooks for your accounting though, check out Method: CRM. 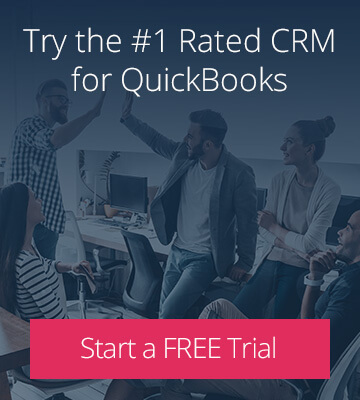 We are the #1 rated CRM for QuickBooks for a variety of reasons, chief among those is our patented sync engine that works flawlessly with Intuit’s industry-leading software. Method excels in all the areas listed above, but one particularly neat thing about it is the customization options. You can create almost anything you need with a code-free drag and drop interface. From custom sales funnels to integration with marketing automation, Method is a cost-effective, scalable CRM solution that can handle nearly any business need. You can try it free for an entire month with no obligations right here. As your business grows, keeping track of all your customers gets more difficult, but also much more important at the same time. It is crucial to find a solution that keeps everything in one place for ease of access for your team, as well as having customer information at a glace to glean important insights and make better business decisions. Ready to get started with better customer relationship management?